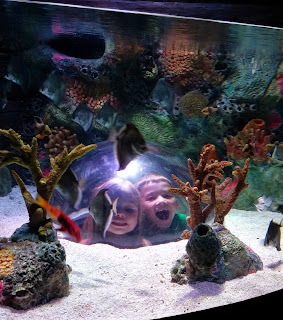 We have visited the Sea Life Aquarium in Kansas City a couple of times now as a family and we always enjoy our visit. It's a great attraction in a comfortable indoor setting so you can either escape the Summer heat or as the temperatures are dropping you can enjoy the comfort controlled environment. Kansas City is only a three hour drive from the Des Moines area which makes it a perfect weekend destination for us. We have had good luck arriving around noon on a Saturday, but because it is an indoor attraction the capacity is limited. I would definitely recommend buying tickets in advance if you are able to plan ahead. You can park for free in the Crown Center parking ramp. 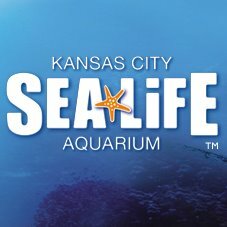 My readers can save $3 off admission to SEA LIFE Aquarium in Kansas City right now. Just visit US Family Guide for your coupon. Offer expires December 31st, 2016. 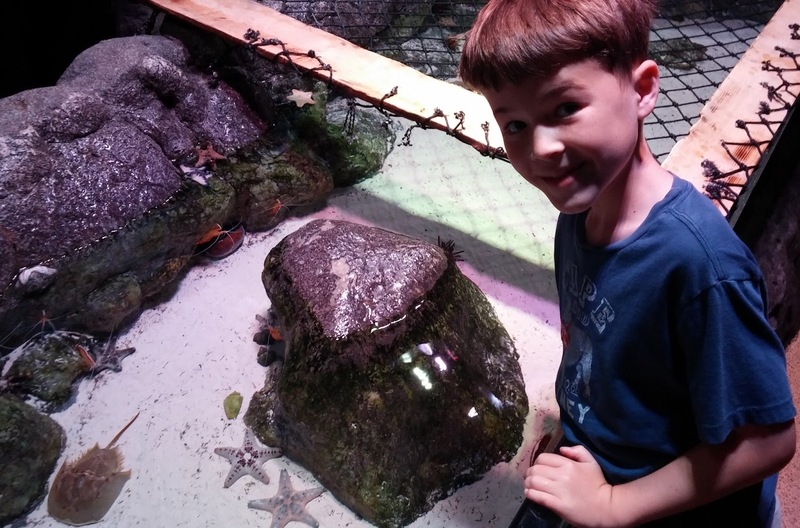 Your visit starts off with their interactive rockpool and my kids always enjoy that. We spend a lot of time there touching starfish and other sea creatures. They also enjoy collecting stamps in their dive log book as they visit all of the aquarium attractions. They received a little something special for completing the quiz from the gift shop when we left. 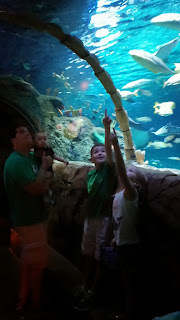 My favorite part of SEA LIFE Kansas City is always the underwater tunnel. I love watching all of the sea creatures swim around us. New in 2016 is the Sea Life Doodle Reef. 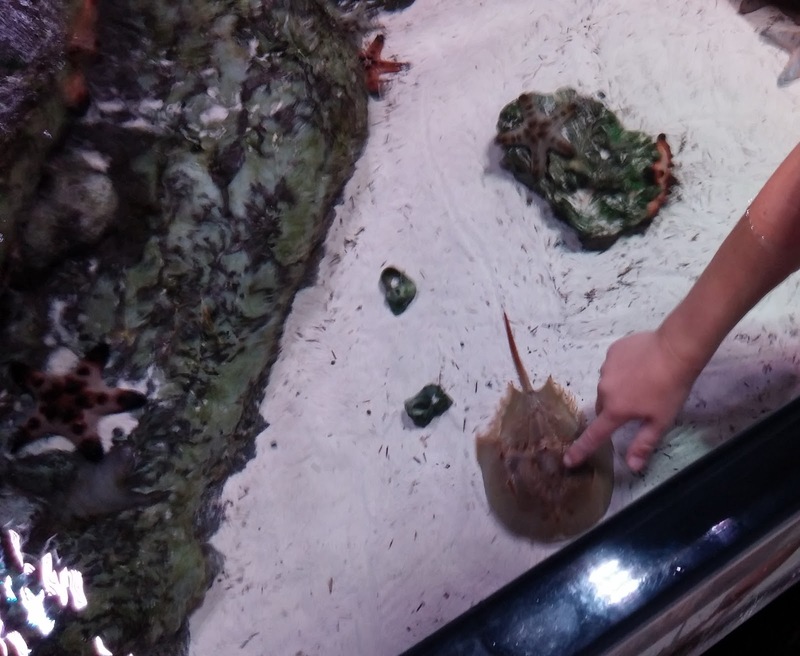 With it you can create virtual sea creatures that will come to life on a screen within a live display. It's the first of its kind in the Midwest and I can't wait to check it out. To learn more and plan your next visit to SEA LIFE Kansas City Aquarium visit their website or follow on Twitter.